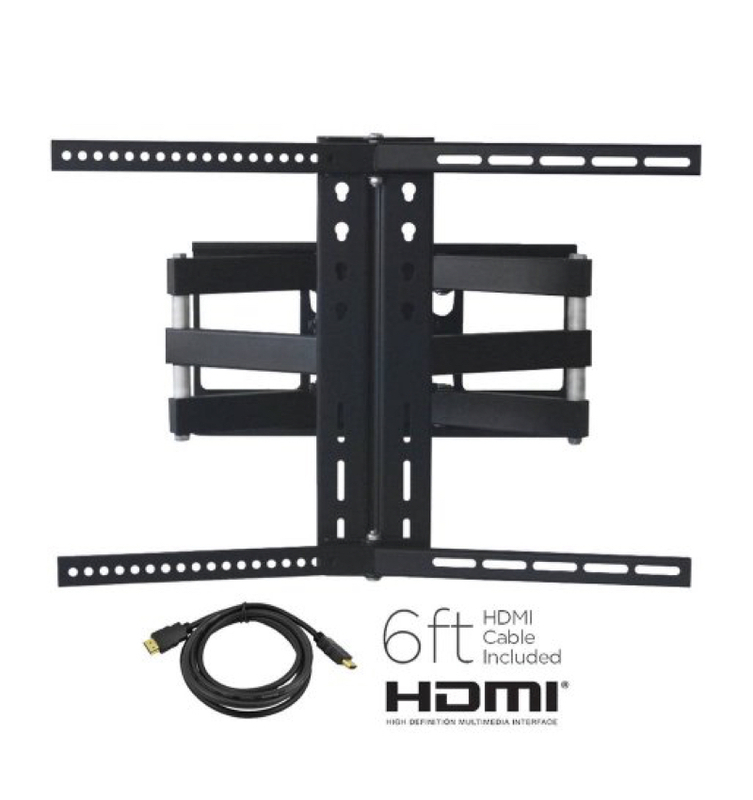 Safely hang your curved display with the Ematic 42″ to 65″ TV Wall Mount Kit. 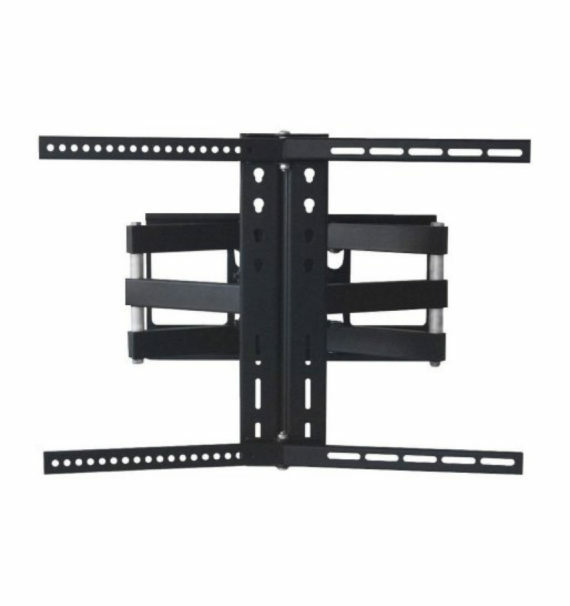 This Ematic TV wall mount is made from cold-rolled steel, making it a durable and secure frame for you to trust your television with. This sturdy wall mount is made to be long-lasting and they type of product that will serve you well for years to come. 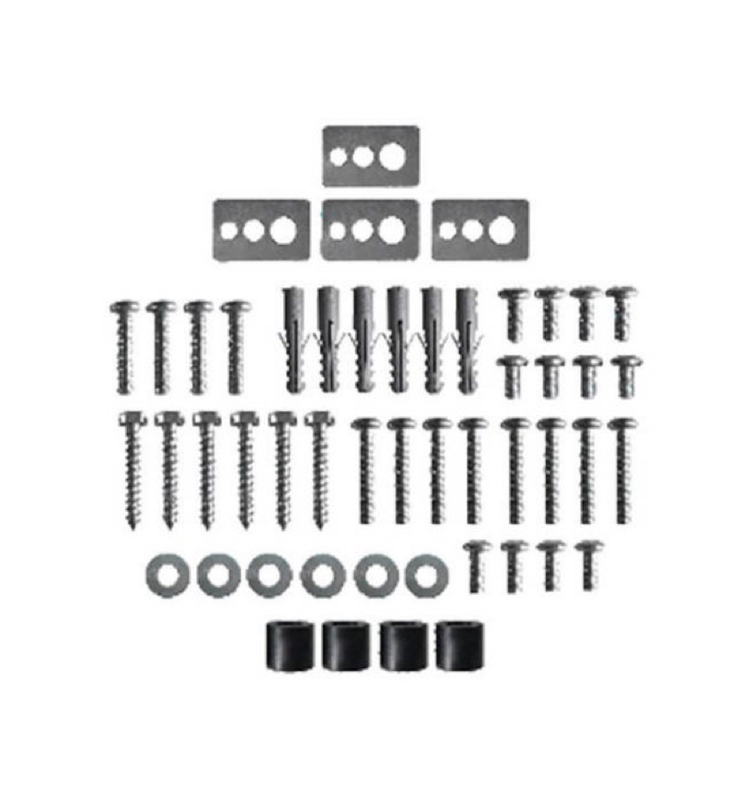 It also extends up to 18.5″ from the wall, giving you some versatility in movements options and convenience. 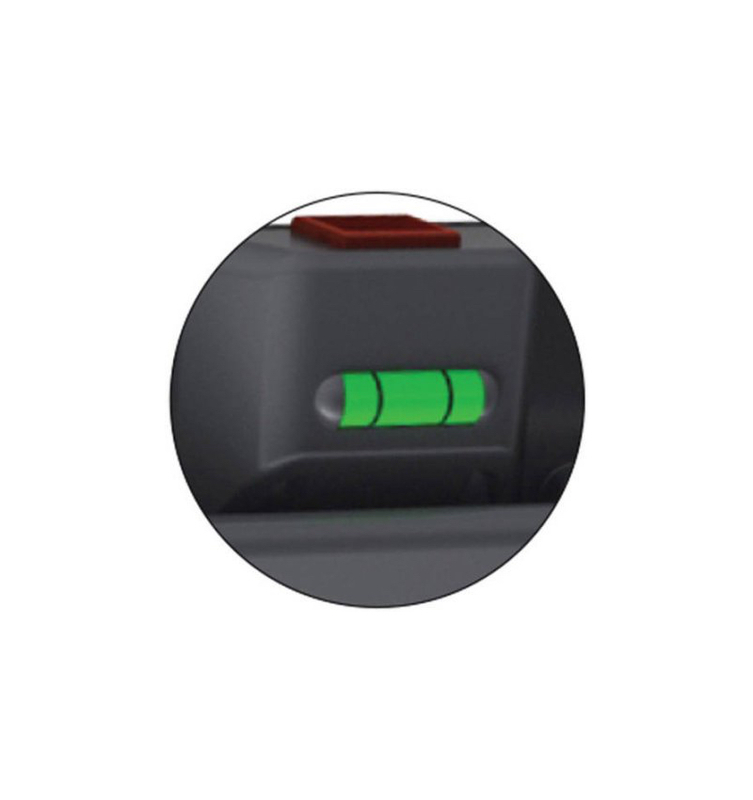 It swivels up to 90 degrees and tilts for a variation of optimal viewing angles, ensuring that you enjoy your movies and shows in with reduced glare no matter where you choose to sit in the room. Designed for LCD monitors and displays up to 65″ and 66 lbs, this curved TV wall mount adds a touch of sophistication to your living room or entertainment area. 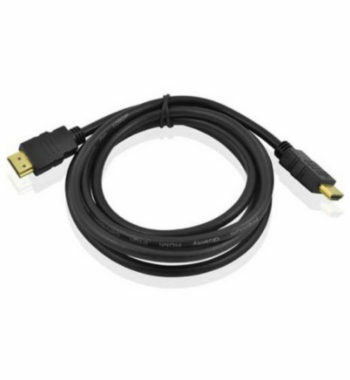 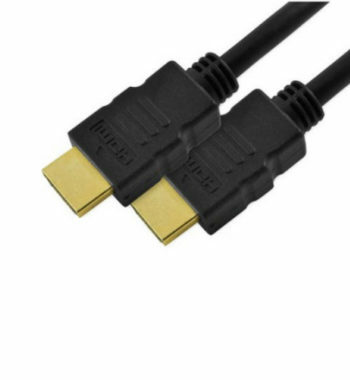 Also included is a 6-foot high-speed HDMI cable to boost your connectivity and bolster your entertainment experience with added high-quality media options. The cable is made with a length that allows you to easily tuck the excess out of sight, keeping your viewing area pristine and sleek. The protective sheathing is made to be both durable and pliable so that it is well equipped to stave off wear from excessive use. 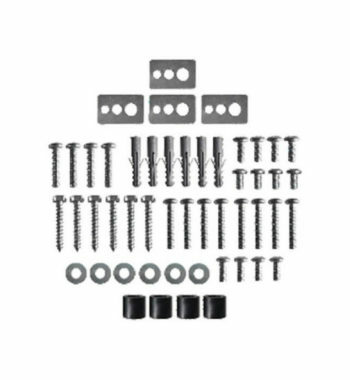 This kit also comes with all the required mounting hardware and a handy guide.